You can now avail the opportunity to advertise your brands or projects on our platform at very nominal prices. You can also take advantage of our social media pages which have more than 14000 likes and our email list which has more than 12,000 active readers. If you are a real estate developer or builder, you can take advantage of our targeted audience and make the most of your advertising expenditures. Ad Space 1 is for general advertisement where you can advertise your brand with link back to your business page or website. 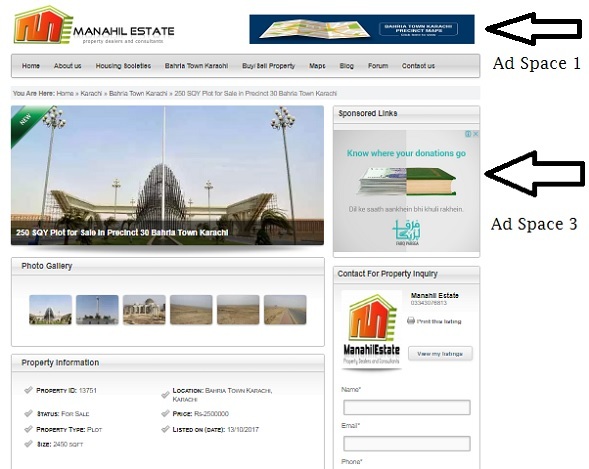 Ad Space 2 is reserved for new real estate projects. You can add your project banner here. 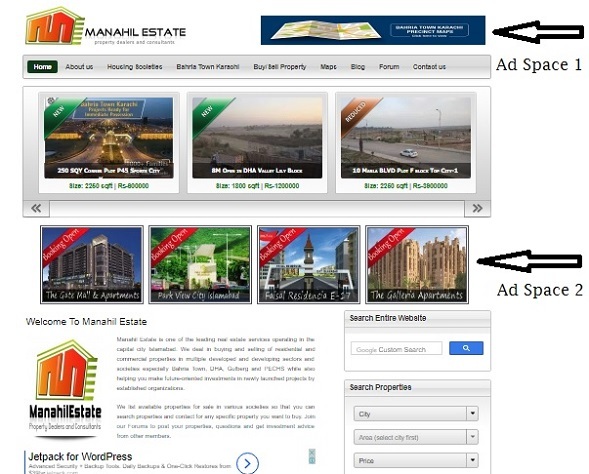 Ad Space 3 is for general advertisement but more appropriate for real estate projects. You can put your banner with link back to your business page or website. If you want us to create a page on our website for your project and promote on the website, social media, email lists, whatsapp groups and other advertising channels, we will be happy to assist at minimal charges. If you are a real estate agent and want to post your properties for sale on our website, we have a special package of monthly subscriptions which allows you to add your latest property listings on our website. Interested to advertise with us ? Feel free to contact us using the form below.